Last week was the beginning of a brand new program for Lovin’ Spoonfuls. We have become quite successful at accomplishing the first part of our mission. We now work with 50+ grocers, wholesalers, and other food vendors to rescue food that would otherwise go to waste. It’s the second part of the equation that we are looking to address now. Once we make our daily or weekly deliveries, we leave the fate of the food in the hands of our beneficiary partners. The agencies we partner with work tirelessly to make the lives of their neighbors better, and happily work with us to provide these same people, who tend not to have access, with healthy, fresh food. But we can do more! Our new educational programming, funded by BNY Mellon / The Alice P. Chase Trust, sets out to provide those who receive our food with the tools they need to use it effectively. We want to avoid food waste at each step of the process, including its final destination, which we hope, is on someone’s plate. 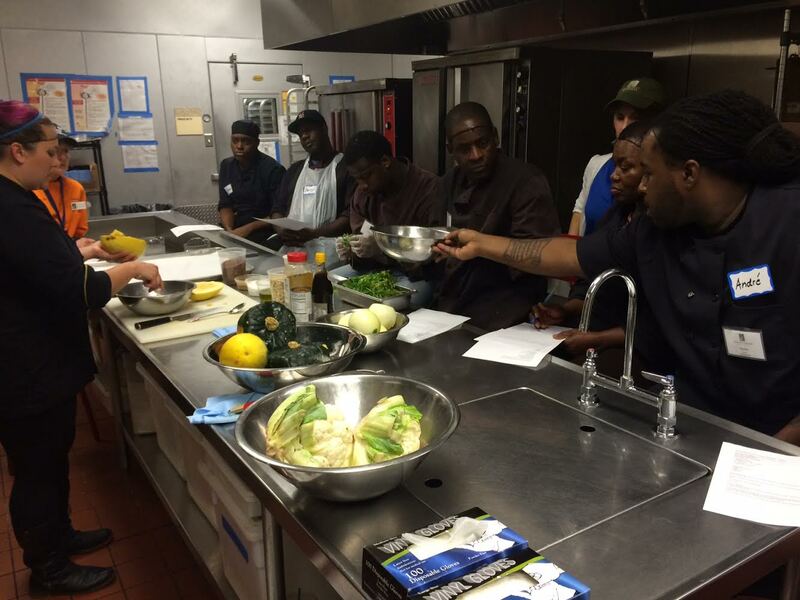 Last week we kicked off this programming with two cooking workshops with the help of two of our amazing friends. 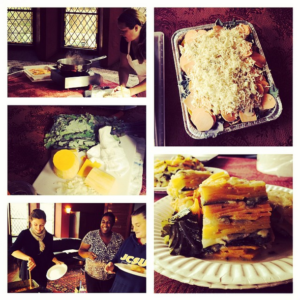 Suzi Maitland, the Executive Chef at Trina’s Starlite Lounge and Audubon, demonstrated a dish using kale, sweet potatoes, and butternut squash at the Brookline Food Pantry. Everyone wanted a second sample! Guests left with new tips for how to incorporate these nutritious foods into their cooking. Karen Akunowicz, Chef at Myers + Chang, demonstrated a dish using cauliflower, kabocha squash, and spaghetti squash for culinary training students at Community Servings. The intimate setting allowed the students to try their hand at knife skills and discuss the techniques demonstrated. The dish was also incredibly delicious!